Height Zone World 49. 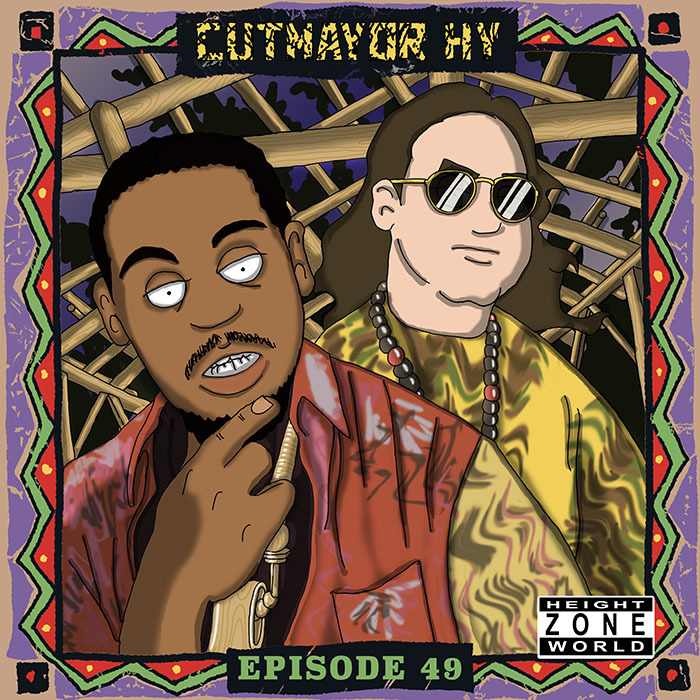 My guest this week is Cutmayor HY. He’s a member of Food For Animals and Disturbed Individuals, as well as a solo MC. I’ve been a fan of all his projects, and we’ve played many shows together over the years. He talks about growing up in Go-go country, and his initial forays into DJing. He tells me about how working in a movie theatre during college led to him joining Food For Animals and touring Europe and Japan with them. We talk about his new methodology for making beats, and his forthcoming sophomore solo album. Mike Riley’s art this week is an homage to Brand Nubian’s One For All. This episode is hosted by splicetoday.com. Posted on July 6, 2015 by height keech	Bookmark the permalink.